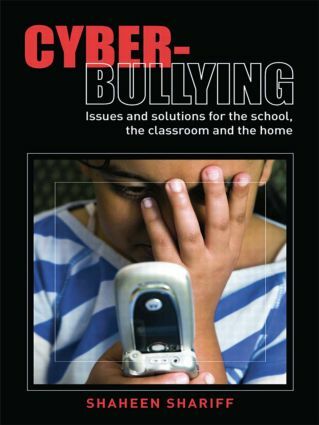 This book looks in depth at the emerging issue of cyber-bullying. In this increasingly digital world cyber-bullying has emerged as an electronic form of bullying that is difficult to monitor or supervise because it often occurs outside the physical school setting and outside school hours on home computers and personal phones. These web-based and mobile technologies are providing young people with what has been described as: ‘an arsenal of weapons for social cruelty’. These emerging issues have created an urgent need for a practical book grounded in comprehensive scholarship that addresses the policy-vacuum and provides practical educational responses to cyber-bullying. Written by one of the few experts on the topic Cyber-Bullying develops guidelines for teachers, head teachers and administrators regarding the extent of their obligations to prevent and reduce cyber-bullying. The book also highlights ways in which schools can network with parents, police, technology providers and community organizations to provide support systems for victims (and perpetrators) of cyber-bullying.